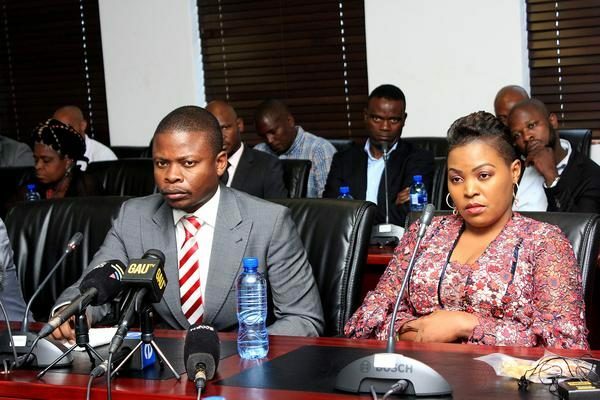 Wealthy Malawian pastor, Prophet Shepherd Bushiri and his wife, who were arrested in South Africa last Friday February 1st, were arraigned before a Pretoria Commercial Crimes Court on Monday February 4th on charges of fraud, money laundering and contravening the Prevention of Organised Crime Act dating back to 2015. The clergyman and his wife who are well known for their flamboyant lifestyle, were arrested at a hotel in Rustenburg last week Friday February 1st. Read here. His church members gathered outside the church this morning to pray as they appeared in court this morning.